Does your letterhead blend into the background? Capture the attention of your recipient with an updated logo and design that will set your business apart. 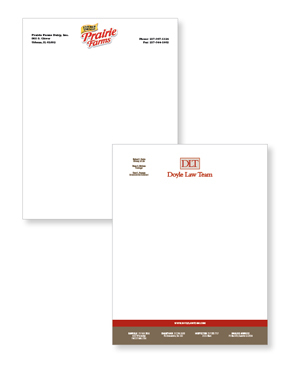 Several options are available for letterhead printing, including paper and ink colors.